In a series of posts you will find here, I illustrate how the principles on which Tandana is founded play out in concrete application through discussions of my own experiences as well as those of community members and volunteers who have worked with Tandana. We see how reaching out to others with a personal approach leads, both in theory and in practice, to a world that is, incrementally, more peaceful and more just. This personal approach could serve not only as impetus for one organization’s work but also to transform the character and effects of other groups seeking right relationship with others. This is the sixth in a series of 10 posts that will give insight into both the philosophical reasons and the concrete effects of reaching out to others with a personal approach. If you missed Part 1, 2, 3, 4 or 5, read them here. Finding an equal in need, and finding that I have the resources to respond, calls me to the responsibility to share those resources. After living in Panecillo, Ecuador, I found that I had friends and new family members with goals and dreams I could very much relate to. And these friends often lacked the economic resources to achieve those goals and pursue those dreams. I also realized that I had economic resources at my disposal, and I wanted to share. The hard part was figuring out how to share in ways that did not belie the equality of the relationship. When I finally did begin to share, I made sure to emphasize the reciprocity involved and how much I had already received through the relationship, trying to make it clear that I was sharing, not giving in charity. Others involved with Tandana find themselves called to a similar kind of sharing. A family from the United States who lived with a family in Quichinche, Ecuador found themselves filled with gratitude for the welcome they had received and desired to share their resources in return, helping their host family install paving tiles in the courtyard, ordering a table and benches where all the members of both families could eat together, and assisting with other improvements to the house. A number of interns have been inspired by their host families’ generosity to want to share by providing scholarships to young people in their families. Short-term volunteers, also, have been called to share and have donated for medical treatments for patients they have met, educational materials for schools they have worked with, a tent for neighborhood meetings, and many other goals of community members they have met. 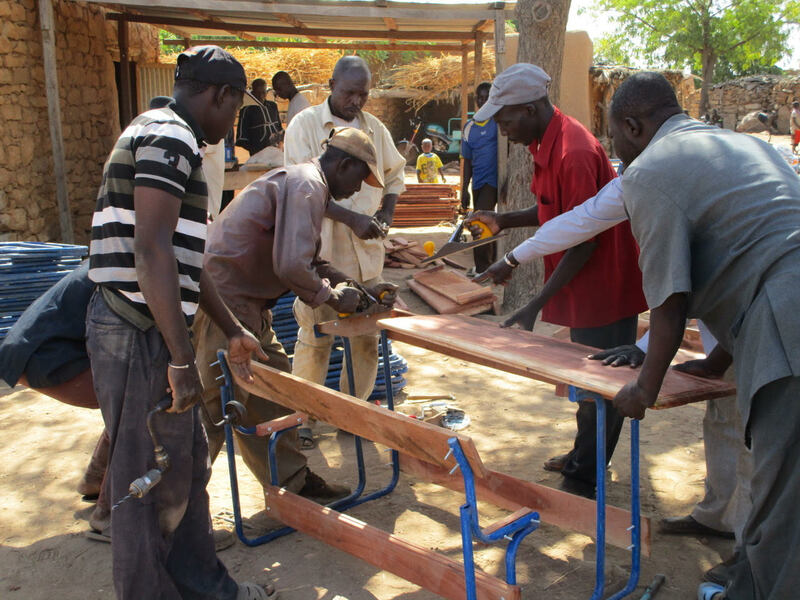 One volunteer, after several trips to Kansongho, Mali, decided to share the tools he had inherited from this father and father-in-law with young men in Kansongho who were starting a carpentry workshop. Tandana as an organization also supports community initiatives in a spirit of sharing. Keeping promises is important to Tandana’s approach. Tandana’s values statement includes, “We follow through on what we commit to do.”100 Community member are sometimes surprised to that find that Tandana actually follows through. 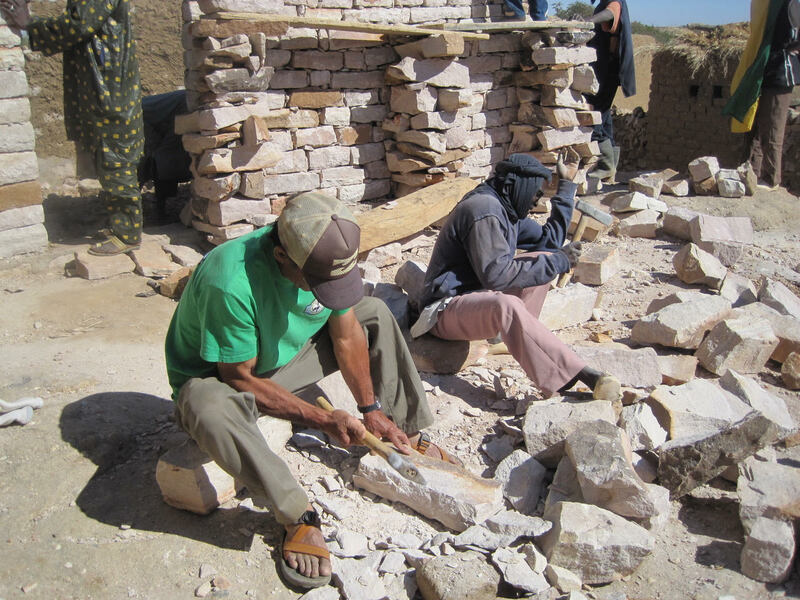 Villagers in Sal-Dimi, Mali, despite Tandana’s promise of supporting them in creation of a grain bank, did not begin to break the stones needed for construction of the bank’s storehouse until they actually saw the grain arrive. They had been betrayed by so many false promises in the past that they were not ready to invest in their part of the project until they knew that Tandana was going to follow through. Marcela Muenala from Tangali, Ecuador, whose son had successful surgery through Tandana’s Patient Follow Up Program, said, “Tandana is the only serious foundation that helps all the people in the communities, without lying to them. Others say they are going to help, to take us to good hospitals, and then they never return.”101 Keeping promises allows Tandana as an organization to maintain self-constancy. Tandana, even though it is an organization rather than an individual, maintains an identity as someone that its partners can count on. The act of forgiveness asserts that evil is not all-powerful and that we are free to act. Kearney explains that in Ricoeur’s thought, “the possibility of forgiveness is a ‘marvel’ precisely because it surpasses the limits of rational calculation and explanation. There is a certain gratuitousness about pardon due to the very fact that the evil it addresses is not part of some dialectical necessity.”104 Forgiveness safeguards our ability to act by providing a chance for redemption despite the negative effects of our actions and restoring our freedom to act rather than just react to evil we have suffered. 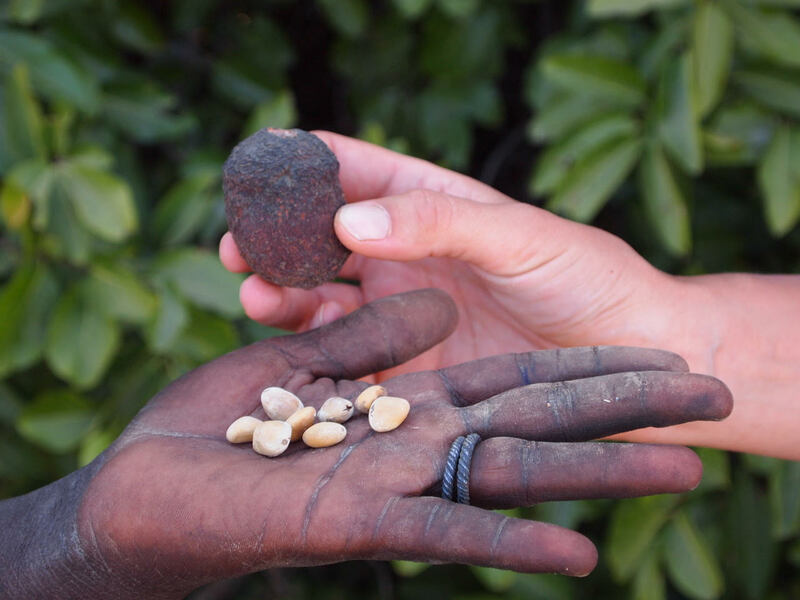 During my first stay in Mali, I experienced the marvel of forgiveness. I had heard about a cultural festival being presented for tourists, and, feeling lonely, I decided to attend despite my typical aversion to touristic settings. After I had arrived and sat down, however, I learned that there was an entrance fee. I did not really want to be there anyway, and I mumbled an embarrassed apology and intention to leave rather than pay the fee. I walked back to the borrowed scooter on which I had arrived and started the motor with my head down. Feeling awkward and regretful, I began driving slowly up the road, caught in my own thoughts. 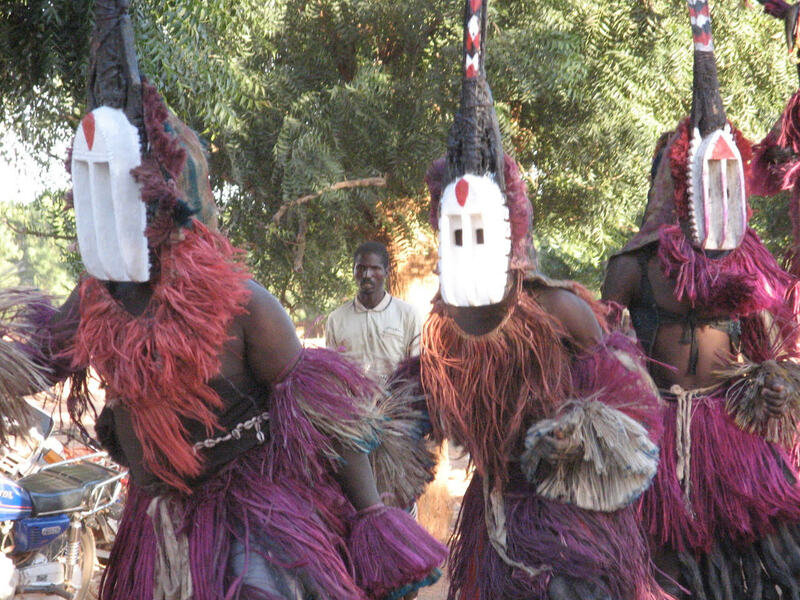 Suddenly, I noticed that a group of mask dancers was processing on the highway to the festival. The dancers on stilts were already right above, looking down at me, and other dancers swayed and shook at ground level. Unable to gather my wits to get out of the way, I drove right through the procession. A police officer pronounced official censure on my disrespectful deed, saying, “you are wrong.” Mortified, I frantically searched for a way to make up for my error. I could not undo my action, but perhaps I could ask for forgiveness. Knowing the importance of a third-party for any moral transaction in Malian culture, I asked an acquaintance to accompany me as I apologized. Together we returned to the festival, and I expressed my regret to the manager, whose name I learned was Modibo Iguila. I gave him a small sum of money as a token of my apology for my disrespect to the dancers and to the festival, feeling that nothing could really repair the damage I had done. To my great surprise, Modibo offered immediate forgiveness. He invited me to return to the festival each of the next days it would be held, and that evening he even showed up at the home where I was living with a gift of indigo cloth to cement our new friendship. The forgiveness that he offered so unexpectedly freed both of us to act again. I have also had the opportunity to forgive and have found it to be as marvelous as being forgiven. 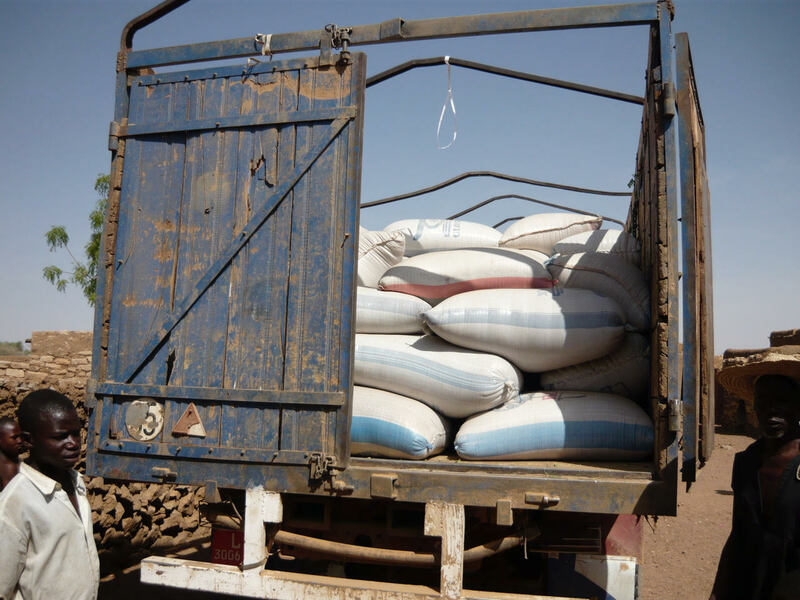 After returning from a trip to Mali, I discovered that my closest Malian friend and my host to whom I had entrusted funds for a project had misrepresented the expenses to me. Although they had presented receipts to justify expenses of the total amount, they had separately created a spreadsheet revealing their projected expenses, including a small amount they intended to distribute to themselves without authorization, and accidentally shared it with me. I was devastated by their breach of trust, and, unable to resolve the issue through phone calls, planned another visit to Mali several months later in order to address the damage done to the relationships. When I was again face to face with my friend, he was able to express his regret and also explain their thinking, and I was able to forgive. Instead of ending the friendship, I decided to hire him as a representative of Tandana in Mali. Then he could earn something for his work honestly and did not need to take a hidden cut. Our relationship was ultimately repaired and strengthened, and we both were freed to act meaningfully again. 85 Smith, Emily Esfahani, The Power of Meaning: Finding Fulfillment in a World Obsessed with Happiness, (New York: Broadway Books, 2017), 85. 95 Arrows 13 and 14 on the diagram. 103 Ricoeur, 96, emphases in original. En una serie de publicaciones que encontrará aquí, ilustre cómo los principios en los que se basa Tandana se llevan a cabo en una aplicación concreta a través de discusiones sobre mis propias experiencias y las de los miembros de la comunidad y voluntarios que han trabajado con Tandana. Vemos cómo llegar a otros con un enfoque personal conduce, tanto en la teoría como en la práctica, a un mundo que es, de manera incremental, más pacífico y más justo. Este enfoque personal podría servir no solo como un impulso para el trabajo de una organización, sino también para transformar el carácter y los efectos de otros grupos que buscan una relación correcta con los demás. Este es el sexto de una serie de 10 publicaciones que dará una idea de las razones filosóficas y los efectos concretos de acercarse a los demás con un enfoque personal. Si te perdiste la Parte 1, 2, 3, 4 y 5, léelas aquí. Encontrar una necesidad igual y encontrar que tengo los recursos para responder, me llama a la responsabilidad de compartir esos recursos. Después de vivir en Panecillo, Ecuador, descubrí que tenía amigos y nuevos miembros de la familia con metas y sueños con los que podía relacionarme. Y estos amigos a menudo carecían de los recursos económicos para alcanzar esos objetivos y perseguir esos sueños. También me di cuenta de que tenía recursos económicos a mi disposición y quería compartir. La parte difícil fue descubrir cómo compartir de una manera que no desmiente la igualdad de la relación. Cuando finalmente comencé a compartir, me aseguré de enfatizar la reciprocidad involucrada y la cantidad que ya había recibido a través de la relación, tratando de aclarar que estaba compartiendo, no cediendo en caridad. Otros involucrados con Tandana se encuentran llamados a compartir algo similar. Una familia de los Estados Unidos que vivía con una familia en Quichinche, Ecuador se sintió muy agradecida por la bienvenida que había recibido y deseaban compartir sus recursos a cambio, ayudando a su familia anfitriona a instalar pavimentos en el patio, construyendo una mesa y bancos donde todos los miembros de ambas familias podrían comer juntos, y ayudar con otras mejoras a la casa. Una cantidad de pasantes se ha inspirado en la generosidad de sus familias anfitrionas para querer compartir proveyendo becas a jóvenes en sus familias. Los voluntarios a corto plazo, también, han sido llamados para compartir y han donado para tratamientos médicos para los pacientes que han conocido, materiales educativos para las escuelas con las que han trabajado, una carpa para reuniones en el vecindario y muchos otros objetivos de los miembros de la comunidad que han conocido. Un voluntario, después de varios viajes a Kansongho, Mali, decidió compartir las herramientas que había heredado de este padre y suegro con hombres jóvenes en Kansongho que estaban comenzando un taller de carpintería. Tandana como organización también apoya las iniciativas comunitarias en un espíritu de compartir. Mantener las promesas es importante para el enfoque de Tandana. La declaración de valores de Tandana incluye: “Cumplimos con lo que nos comprometemos a hacer”.100 Miembros de la comunidad a veces se sorprenden al encontrar que Tandana realmente cumple. 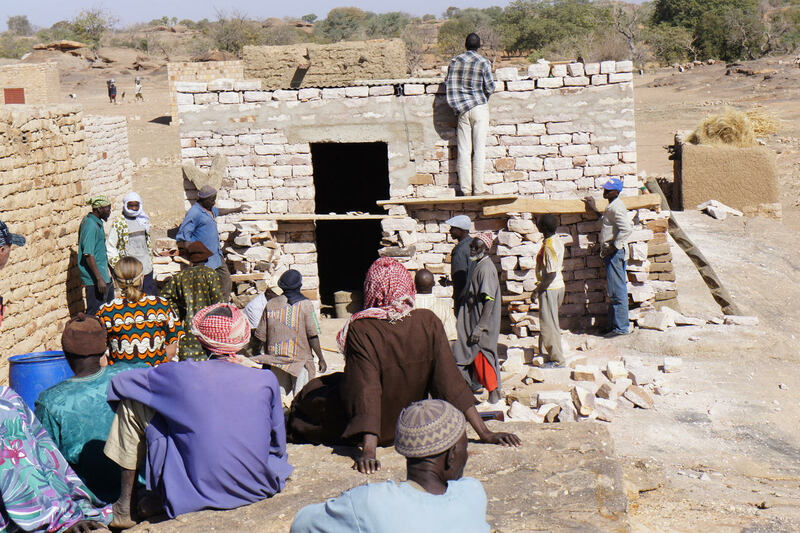 Los aldeanos de Sal-Dimi, Mali, a pesar de la promesa de Tandana de apoyarlos en la creación de un banco de granos, no comenzaron a romper las piedras necesarias para la construcción del almacén del banco hasta que realmente vieron llegar el grano. Habían sido traicionados por tantas promesas falsas en el pasado que no estaban listos para invertir en su parte del proyecto hasta que supieron que Tandana iba a cumplir. Marcela Muenala, de Tangali, Ecuador, cuyo hijo tuvo una cirugía exitosa a través del Programa de Seguimiento de Pacientes de Tandana, dijo: “Tandana es la única fundación seria que ayuda a todas las personas de las comunidades, sin mentirles. Otros dicen que van a ayudar, a llevarnos a buenos hospitales, y luego nunca regresan”.101 Mantener las promesas permite a Tandana como organización mantener la constancia de sí misma. Tandana, aunque es una organización en lugar de un individuo, mantiene una identidad como alguien con quien sus socios pueden contar. El acto de perdón afirma que el mal no es todopoderoso y que somos libres de actuar. Kearney explica que, en el pensamiento de Ricoeur, “la posibilidad de perdón es una” maravilla “precisamente porque supera los límites del cálculo racional y la explicación. Hay un cierto grado de gratuidad en el perdón debido al hecho de que el mal al que se dirige no es parte de alguna necesidad dialéctica “. 104 El perdón protege nuestra capacidad de actuar al brindar una oportunidad de redención a pesar de los efectos negativos de nuestras acciones y de restaurar nuestra libertad Actuar en lugar de solo reaccionar ante el mal que hemos sufrido. Durante mi primera estancia en Mali, experimenté la maravilla del perdón. Había oído hablar de un festival cultural que se presentaba para los turistas y, sintiéndome solo, decidí asistir a pesar de mi aversión típica a los entornos turísticos. Después de que llegué y me senté, sin embargo, supe que había una tarifa de entrada. No quería estar allí de todos modos, y murmuré una disculpa avergonzada y la intención de irme en lugar de pagar la tarifa. Caminé de regreso a la scooter prestada en la que había llegado y puse en marcha el motor con la cabeza hacia abajo. Sintiéndome incómodo y arrepentido, comencé a conducir lentamente por la carretera, atrapado en mis propios pensamientos. De repente, noté que un grupo de bailarines de máscaras estaba caminando en la carretera hacia el festival. Los bailarines sobre pilotes ya estaban arriba, mirándome, y otros bailarines se tambalearon y temblaron al nivel del suelo. Incapaz de reunir ingenio para salir del camino, conduje a través de la procesión. Un oficial de policía pronunció una censura oficial en mi acto irrespetuoso, diciendo: “usted está equivocado”. Mortificado, busqué frenéticamente una manera de compensar mi error. No pude deshacer mi acción, pero tal vez podría pedir perdón. Sabiendo la importancia de un tercero para cualquier transacción moral en la cultura de Malí, le pedí a un conocido que me acompañara mientras me disculpaba. Juntos regresamos al festival y expresé mi pesar al gerente, cuyo nombre aprendí era Modibo Iguila. Le di una pequeña suma de dinero como muestra de mis disculpas por mi falta de respeto a los bailarines y al festival, sintiendo que nada podía reparar realmente el daño que había hecho. Para mi gran sorpresa, Modibo ofreció perdón inmediato. Me invitó a regresar al festival cada uno de los próximos días que se celebraría, y esa noche incluso se presentó en la casa donde vivía con un regalo de tela índigo para consolidar nuestra nueva amistad. El perdón que ofreció tan inesperadamente nos liberó a los dos para actuar de nuevo. También he tenido la oportunidad de perdonar y he encontrado que es tan maravilloso como ser perdonado. Después de regresar de un viaje a Mali, descubrí que mi amigo más cercano de Malí y mi anfitrión a quien le había confiado fondos para un proyecto me habían tergiversado los gastos. Aunque habían presentado recibos para justificar los gastos de la cantidad total, habían creado una hoja de cálculo por separado que revelaba sus gastos proyectados, incluida una pequeña cantidad que tenían la intención de distribuirse sin autorización, y la compartieron accidentalmente conmigo. Me sentí devastado por su abuso de confianza y, al no poder resolver el problema a través de llamadas telefónicas, planeé otra visita a Mali varios meses más tarde para abordar el daño causado a las relaciones. Cuando volví a estar cara a cara con mi amigo, él pudo expresar su pesar y también explicar su pensamiento, y pude perdonar. En lugar de poner fin a la amistad, decidí contratarlo como representante de Tandana en Mali. Entonces él podía ganar algo por su trabajo de manera honesta y no necesitaba tomar un corte oculto. Nuestra relación finalmente fue reparada y fortalecida, y ambos fuimos liberados para actuar de manera significativa nuevamente. Si vous avez manqué la Partie 1, 2, 3, 4 et 5, lisez-la ici. Trouver un besoin égal et constater que je dispose des ressources nécessaires pour y répondre m’appelle à la responsabilité de les partager. Après avoir vécu à Panecillo, en Équateur, j’ai découvert que j’avais des amis et de nouveaux membres de la famille avec des objectifs et des rêves que je pouvais comprendre. Et ces amis manquaient souvent des ressources économiques pour atteindre ces objectifs et poursuivre leurs rêves. Je me suis aussi rendu compte que j’avais des ressources financières à ma disposition et que je voulais partager. La partie difficile a été de découvrir comment partager d’une manière qui ne minimise pas l’égalité de la relation. Quand j’ai finalement commencé à partager, je me suis assuré d’insister sur la réciprocité et sur le montant que j’avais déjà reçu grâce à la relation, en essayant de clarifier que Je partageais, ne donnais pas dans la charité. Les autres personnes impliquées dans Tandana sont appelées à partager quelque chose de similaire. Une famille des États-Unis qu’habitait avec une famille à Quichinche, en Équateur, était très reconnaissante de l’accueil qu’elle avait reçu et souhaitait partager ses ressources, aidant sa famille d’accueil à installer des trottoirs dans le patio, construisant une table et des bancs où tous les membres des deux familles pourraient manger ensemble et aider à d’autres améliorations de la maison. Un certain nombre de stagiaires ont été inspirés par la générosité de leurs familles d’accueil de vouloir partager en offrant des bourses aux jeunes de leurs familles. Des volontaires à court terme ont également été appelés à partager et à faire des dons pour le traitement médical des patients qu’ils ont rencontrés, du matériel pédagogique pour les écoles avec lesquelles ils ont travaillé, une tente pour des réunions de quartier et de nombreux autres objectifs du projet de membres de la communauté qu’ils ont rencontrés. Après plusieurs voyages à Kansongho, au Mali, un volontaire a décidé de partager les outils hérités de son père et de son beau-père avec des jeunes hommes de Kansongho qui commençaient un atelier de menuiserie. Tandana en tant qu’organisation soutient également les initiatives communautaires dans un esprit de partage. Tenir les promesses est important pour l’approche de Tandana. La déclaration de valeurs de Tandana comprend: « Nous nous conformons à ce que nous promettons de faire ». 100 Membres de la communauté sont parfois surpris de constater que Tandana est vraiment épanouissante. 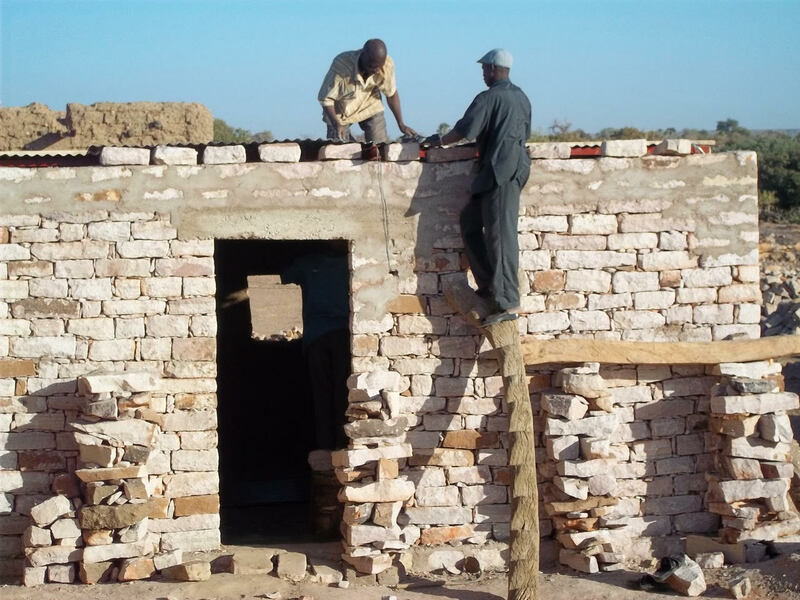 Les villageois de Sal-Dimi, au Mali, malgré la promesse de Tandana de les aider à créer une banque de céréales, n’ont pas commencé à casser les pierres nécessaires pour la construction de l’entrepôt de la banque jusqu’à ce qu’ils aient réellement vu les céréales arriver. Ils avaient été trahis par tant de fausses promesses dans le passé qu’ils n’étaient pas prêts à investir dans leur part du projet jusqu’à ce qu’ils sachent que Tandana allait se conformer. Marcela Muenala, de Tangali, en Équateur, dont le fils a été opéré avec succès dans le cadre du programme de suivi des patients Tandana, a déclaré: « Tandana est la seule fondation sérieuse qui aide tous les habitants des communautés sans leur mentir. D’autres disent qu’ils vont nous aider, nous emmener dans de bons hôpitaux et ne jamais revenir. »101 Tenir ses promesses permet à Tandana, en tant qu’organisation, de maintenir sa cohérence. Tandana, bien qu’il s’agisse d’une organisation plutôt que d’un particulier, conserve une identité de personne avec laquelle ses partenaires peuvent compter. L’imprévisibilité de l’action et son besoin de liberté exigent la possibilité d’un pardon. Arendt explique: « La rédemption possible de la difficulté de l’irréversibilité, de ne pas pouvoir annuler ce que l’on a fait, même si on ne savait pas ce qu’on faisait, est la faculté du pardon ». 102 Puisque nous ne pouvons ni prédire ni annuler les effets de nos actions, nous devons parfois demander pardon. En accordant le pardon, le pardon reste libre de continuer à agir, au lieu d’être pris dans un certain cycle de rétribution. L’acte de pardon affirme que le mal n’est pas tout-puissant et que nous sommes libres d’agir. Kearney explique que, selon Ricoeur, « la possibilité d’un pardon est un » miracle « précisément parce qu’elle dépasse les limites du calcul et de l’explication rationnels. Il y a un certain degré de gratuité dans le pardon du au fait que le mal auquel il est destiné ne fait pas partie d’un besoin dialectique . » 104 Le pardon protège notre capacité à agir en offrant une occasion de rédemption malgré les effets négatifs de nos actions et en restaurant notre liberté. Agissez au lieu de réagir au mal que nous avons subi. Lors de mon premier séjour au Mali, j’ai expérimenté les merveilles du pardon. J’avais entendu parler d’un festival culturel présenté aux touristes et, me sentant seul, j’ai décidé d’y assister malgré mon aversion pour les environnements touristiques typiques. Cependant, après mon arrivée et mon siège, je savais qu’il y avait un droit d’entrée. . De toute façon, je ne voulais pas être là et j’ai murmuré des excuses embarrassées et je voulais partir au lieu de payer le droit. Je suis retourné au scooter emprunté par lequel j’étais arrivé et j’ai démarré le moteur avec la tête baissée. Mal à l’aise et avec regret, j’ai commencé à conduire lentement sur la route, pris au piège de mes propres pensées. Soudain, j’ai remarqué qu’un groupe de danseurs masqués marchait sur la route menant au festival. Les danseuses sur pilotis étaient déjà debout et me regardaient. D’autres danseuses tremblaient au ras du sol. Incapable de rassemblant l’esprit pour sortir du chemin, j’ai conduit à travers la procession. Un officier de police a prononcé une censure officielle dans mon acte irrespectueux, en disant: “Vous avez tort”. Mortifié, je cherchai frénétiquement un moyen de réparer mon erreur. Je ne pouvais pas annuler mon action, mais je pourrais peut-être demander pardon. Connaissant l’importance d’une tierce partie pour toute transaction morale dans la culture malienne, j’ai demandé à un connu de m’accompagner pendant que je m’excusais. Ensemble, nous sommes retournés au festival et j’ai exprimé mes regrets au responsable, dont j’ai appris le nom qui était Modibo Iguila. J’ai donné une petite somme d’argent en come excuse pour mon manque de respect aux danseurs du festival, estimant que rien ne pouvait réparer les dommages que j’avais causés. À ma grande surprise, Modibo a immédiatement offert son pardon. Il m’a invité à revenir au festival chaque jour qui allait être célébré, et cette nuit-là, il s’est même présenté à la maison où il vivait avec un cadeau d’étoffe indigo pour consolider notre nouvelle amitié. Le pardon qu’il a offert de manière inattendue nous a libérés pour pouvoir agir à nouveau. J’ai également eu l’occasion de pardonner et j’ai trouvé que c’était aussi merveilleux que d’être pardonné. À mon retour d’un voyage au Mali, j’ai découvert que mon ami le plus proche du Mali et mon hôte à qui j’avais confié des fonds pour un projet avaient présenté de manière erronée mes dépenses. Bien qu’ils aient soumis des reçus pour justifier les dépenses du montant total, ils avaient créé un tableur séparé qui révélait leurs dépenses prévisionnelles, y compris un petit montant qu’ils avaient l’intention de distribuer sans autorisation, et les partagèrent accidentellement avec moi. Je me suis senti dévasté par leur abus de confiance et, incapable de résoudre le problème par des appels téléphoniques, j’ai planifié une autre visite au Mali plus tard pour réparer les dommages causés aux relations. Quand j’etais de nouveau face à face avec mon ami, il a pu exprimer son regret et également expliquer ses pensées, et je pourrais pardonner au lieu de mettre fin à l’amitié, j’ai décidé de l’embaucher en tant que représentant de Tandana au Mali. Ensuite, il pourrait honnêtement gagner quelque chose en échange de son travail et il n’avait pas besoin de cacher de l’argent. Notre relation a finalement été réparée et renforcée, et nous avons tous deux été libérés pour agir de manière significative.